I want the image in my modal dialog to be width:100%, but do not know how to do it. My 'openDialog' points to an URL and displays an image. My 'img src' is a thumbnail image. All is working, but my image is too big for the modal size - I want the image to shrink-to-fit or to be of width:100%, no matter the real size of the image. Unfortunately, there is no option to shrink to fit the inside contents in the Modal Popup dialog in SharePoint. 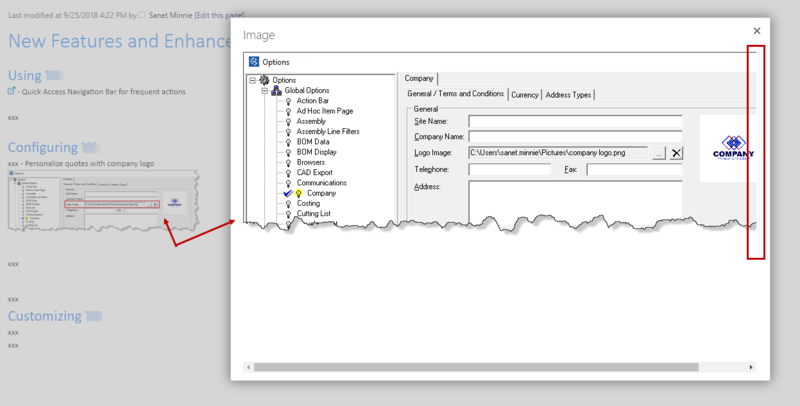 But if you need to work with SharePoint Modal, I think the auto size width will be suitable for you! Just remove the width option width: 800 in the code! Not the answer you're looking for? Browse other questions tagged 2013 sharepoint-enterprise sharepoint-server modal-dialog image-display or ask your own question. How to add a “processing” gif to a Modal Dialog?